Albiez-Montrond, in France, is a large resort with 13 lifts (3 chair lifts, 9 surface lifts) that offers skiers an impressive 700 metres (2297 feet) of vertical descent. 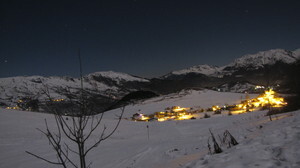 Albiez-Montrond has 22 pistes. 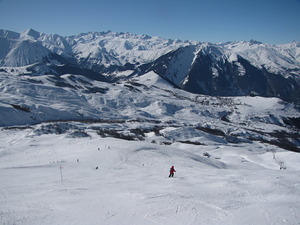 Albiez-Montrond is best suited to beginner skiers and snowboarders but there is some terrain for both expert and intermediates. There are 15 kilometers (9 miles) of cross country ski trails at Albiez-Montrond. - Ski, Snowboard, Telemark etc. 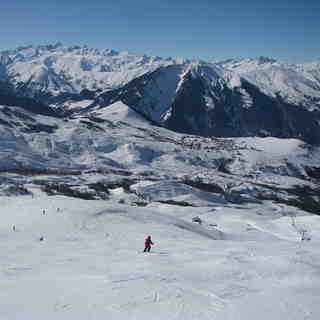 - Big Air of Albiez - Come to discover the world of the flying skiers and boarders! Spectacular Freestyle + Free Photo Contest (opened to the amateurs and pros). - “Sybelles X Speed Tour”- Skiing speed challenge for whole family. Face the radar to know you top speed! 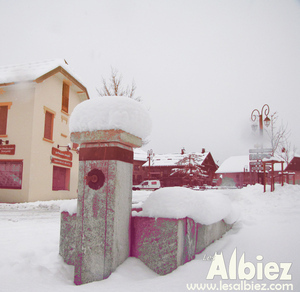 - Albiez c’est Show- Special demonstrations and activities on the snow in front of the resort every week during the school holidays. Note: There are many other events during winter season; the winter program is still in the design stages.